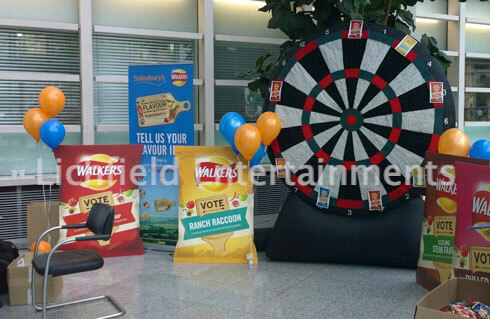 Looking for an attention grabbing game or attraction to draw visitors on to your exhibition stand? 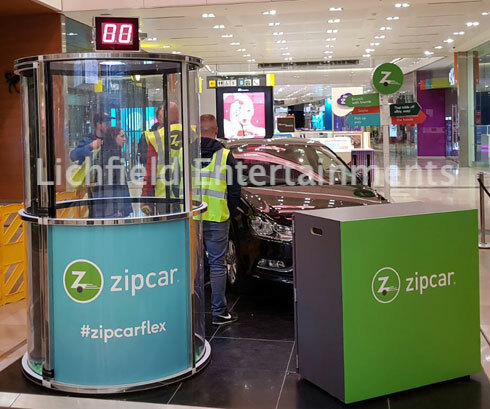 Well Lichfield Entertainments have a great range of suitable fun and games available for hire that can be supplied staffed or unstaffed and with lots of branding opportunities. Based in the heart of the Midlands we are within a couple of hours of many of the major exhibition venues especially the NEC, Ricoh Arena, Stoneleigh Park, and St Georges Park that that are all very local to us. 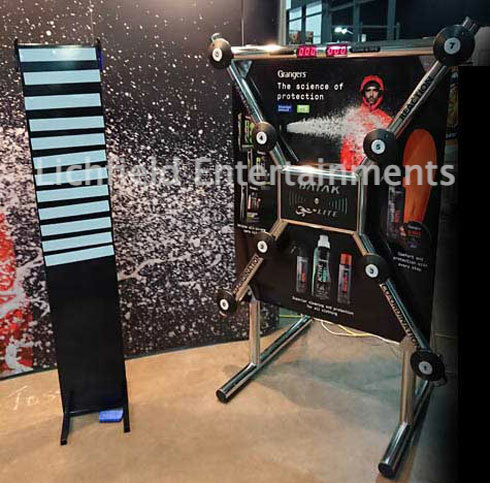 We have a selection of both one player and head to head two player reaction speed games that always draw a crowd of curious visitors on to stands. 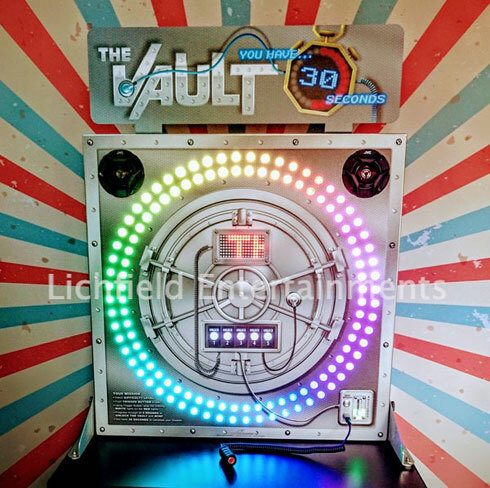 Supplied complete with a magnetic top 10 scoreboard these are perfect for competitions. 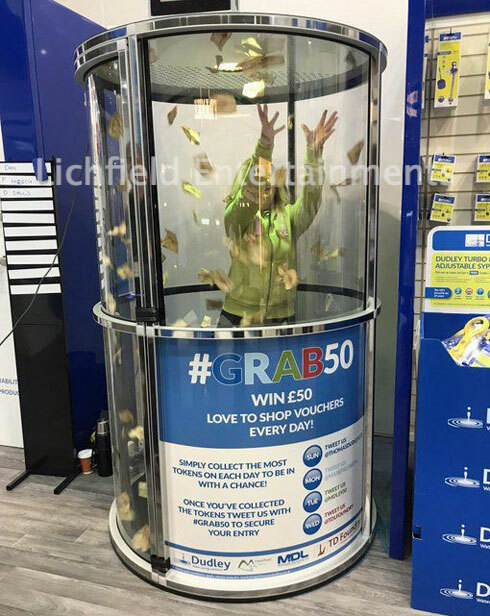 This game is available in 'Grab a Grand' mode using paper money, vouchers, or tokens or in "Ball-Nado' mode using special foam balls. Branding is available on the front lower half of the game. 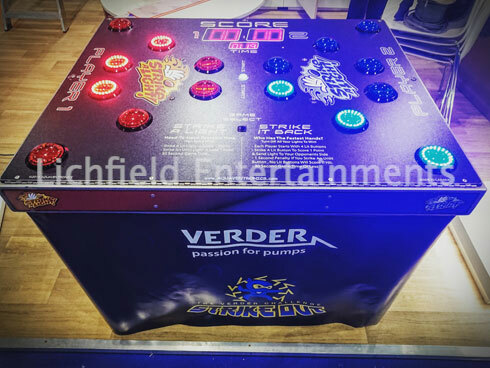 A top 10 magnetic scoreboard is provided to keep track of scores and make things a bit more competitive." We have a range of Buzzer Wires to test the steadiness of the visitors hand. Choose from different table top models or even a 10ft long floor standing version. 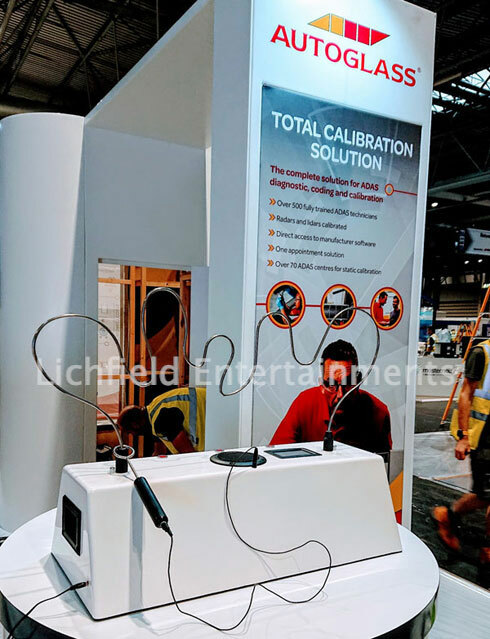 We have a top of the range plain white unbranded giant table top version kept exclusively for exhibition stand use where you can set the difficultly level, number of lives allowed, time permitted to complete the game, and even buzzer volume via a colour touchscreen control panel. 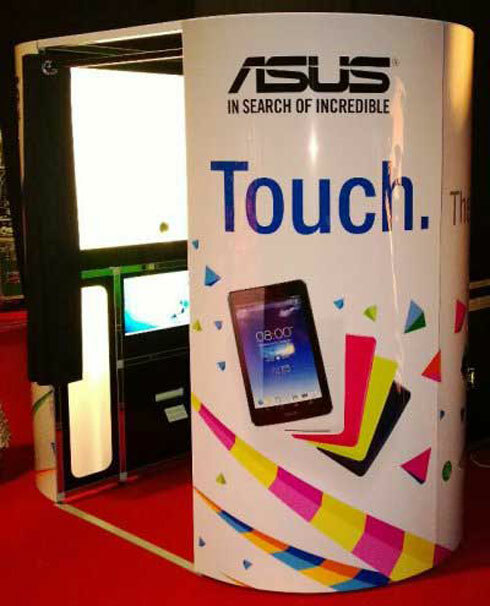 Low-tack branding panels can be added to the table top versions. 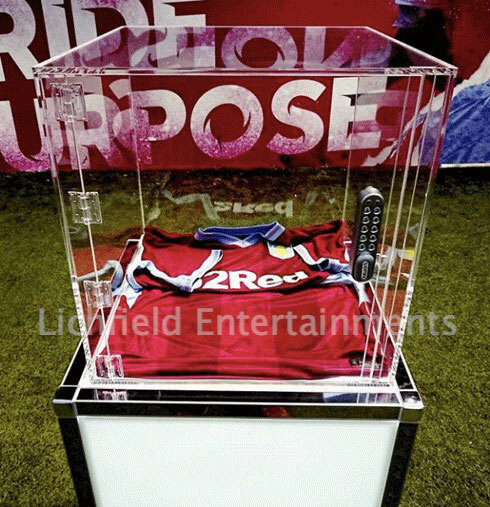 Place an attractive prize inside the clear perspex safe and in return for their contact details offer visitors to your stand the chance to win that prize by guessing/cracking the combination lock code and opening the door. The rear of the safe can be branded as can the illuminated pedestal it sits upon. A simple game for your trade stand that people can't resist having an attempt at. Crack the vault by stopping the orbiting white light in one of the red sectors. You need to pass through five rounds in just 30 seconds to win but each round gets tougher with the white light speeding up and the red sectors getting smaller and fewer in number. Can be set in one of four different difficulty levels depending on how hard you want to make it for participants to win. 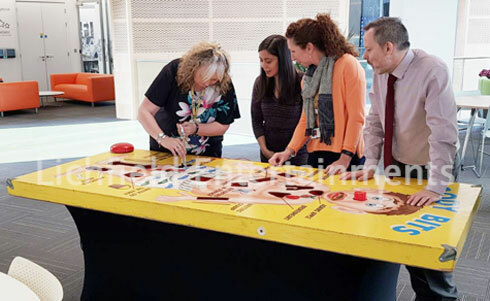 The giant Body Bits game is a massive 7ft version of the giant operating type game we all played as kids that's a favourite for medical and pharmaceutical companies. Complete with buzzer and flashing red nose! This game is great for both casual use or organised competitions. 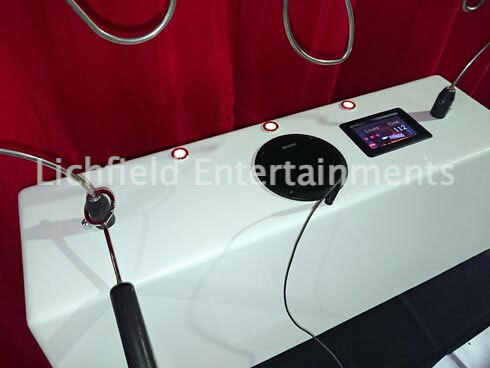 Fully wrapped photo booths and selfie pods with custom backgrounds make great attractions to draw visitors on to you stand and provide them with a branded print to take away. 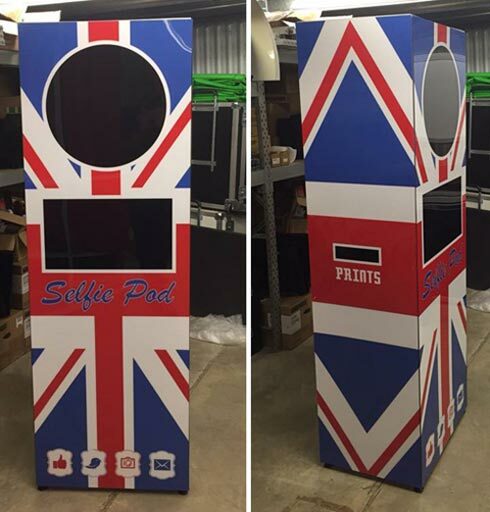 If you are promoting your business on a 'Made in Britain' or 'British Brand' basis then take a look at our Union Jack design Selfie Pod. 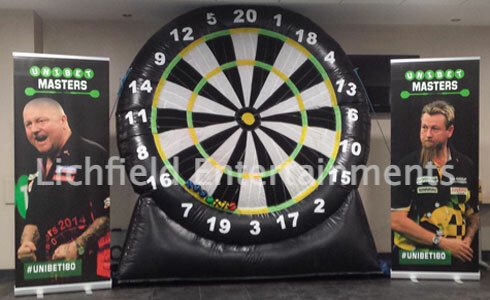 We have both giant throwing darts and football darts available although the football darts is too large for most indoor exhibitions. 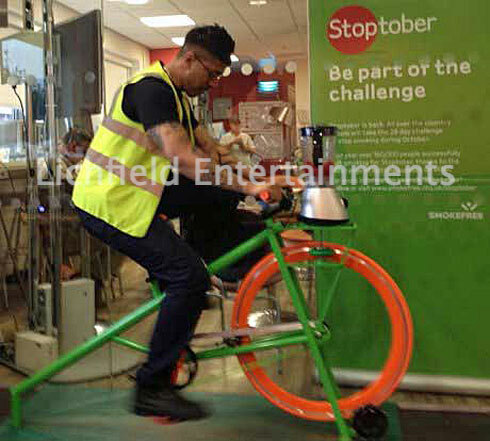 The pedal powered Smoothie Bike is a popular attraction for health based exhibitions and promotions. 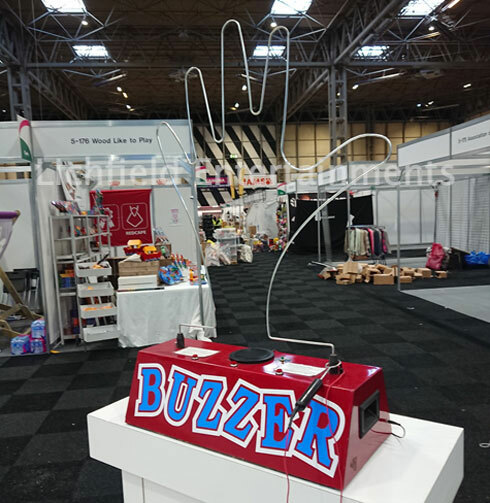 For a quote and to discuss what attractions we could supply to attract visitors to your exhibition stand please get in touch via enquiries@lichfieldentertainments.com or call on 01283 792974.